This fan-favorite character from the hallowed hallways of the U.S.S. Enterprise is now a Pop! Vinyl! 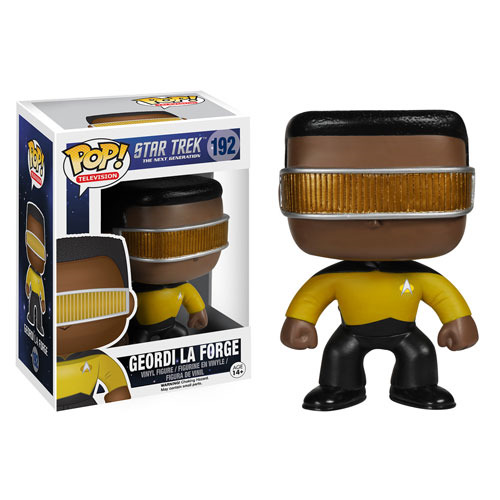 Standing about 3 3/4-inches tall, the Star Trek: The Next Generation Geordi La Forge Pop! Vinyl Figure features actor LeVar Burton's Lieutenant Commander Geordi La Forge in his yellow uniform and visor as he appeared in the Star Trek: The Next Generation TV series. Collect him and the entire crew! Each figure sold separately. Ages 14 and up.